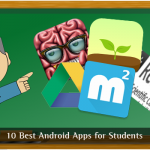 There are a few words that became popular after Android became what it is today! Now, you will find very few people who do not know what is OTG because USB OTG is one of those words. If you own an Android Smartphone or a tablet PC, for that matter and have friends who do have expertise on Android, you would have heard of USB OTG for sure. Nevertheless, it seems that some people are yet to know about USB OTG and most of those who know about OTG don’t know how to use OTG or what is OTG. In this post, we’d get you an overview of what is OTG, notable uses and how to use OTG USB cable with your Android-based Smartphones or tablet PCs. USB OTG is the popular acronym for USB On-The-Go cable! Often spoken as just OTG, it is actually a standard – a standard that is used by mobile devices to talk to interact in-between. Through the use of USB OTG, one mobile device will be able to be connected to another mobile device; for instance, your Smartphone can be connected to a USB pen drive, for accessing stored data. Another capability of USB OTG is to set master-slave roles for the connected devices. That is, by setting your Android Smartphone as the master device, you shall make use of additional hardware such as one keyboard or data storage. What we said above is purely technical, which might not appeal to most of you! Well, from the Android user’s point of view, USB OTG is the method to connect additional hardware to the Smartphone. The list of supported hardware does include data storage, external keyboard, mice, etc. So, this is the basic thing about USB OTG you should know. As in terms of software, USB On-The-Go is supported by Android v3.1 and later versions! But, not all Smartphones do come with USB OTG support. You can know whether your Smartphone supports USB OTG by looking at the package. There will be the official logo of USB On-The-Go if the device is compatible with the standards of USB OTG. Well, the best option is to ask Google or check the specifications of the device you have. 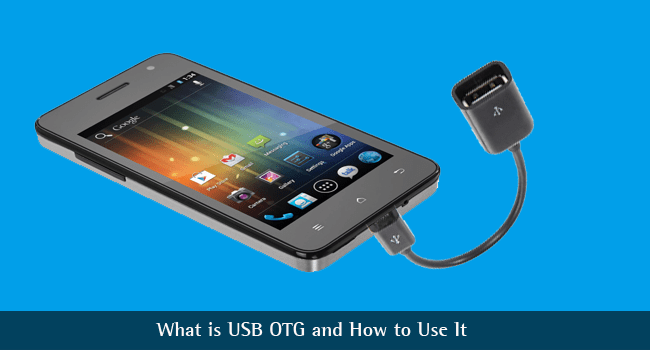 Before we tell you how to use USB On-The-Go in your Android Smartphone or tablet PC, we would have a look at the notable uses of OTG. Some Smartphones come with non-expandable storage, which isn’t a good thing in this data-hungry world! It is possible for you to overcome this issue if you have USB OTG support. Let that be about music, videos or a few photos, everything can be stored in a compact USB drive and can be accessed through USB OTG. You like to, for instance, back up all the photos you have captured to a secured device. If the device supports OTG, it is possible for you to just connect a pen drive — or an external HDD, for that matter — and transfer all those content to the drive. The best part is that you don’t have to any of these movies or photos in the device, but are readily accessible. Of course, having a compact pen drive is way too better than stuffing your device with GBs of data. This storage can be used for installing applications as well. As we said earlier, you will be able to connect external accessories such as keyboards and mice! In our cases, even wireless keyboards work well. Once connected to the Smartphone or tablet PC, you can use the fully-fledged keyboard for inputting data. Similarly, mice can be used instead of touch input — you can move the cursor and click on what is needed. This capability is more useful in tablet PCs, we suppose. Wouldn’t that be awesome if you can connect a small keyboard to the tablet PC and use it as a kind-of small notebook? Along with keyboards and mice, several other devices can also be connected, such as MIDI keyboards. How to Use OTG USB Cable on your Smartphone or Tablet PC? Of course, you cannot connect a USB device into the Micro-USB port – unless your Tablet PC has a real USB slot in it. In the other case, you have to purchase a USB On-The-Go cable. These cables will be available both in the electronic stores and online shopping sites. However, while buying you have to take care of some factors such as the length of a cable. There are even some snug-fit adaptors, which can be used for connecting the USB device instantly. By the way, some USB OTG pen drives are also available in stores. These pen drives have two sides. You can transfer data from your PC using the common USB side and then access the same in your Smartphone using micro USB end. It doesn’t matter which device you are buying. You have to connect it to the micro USB port. In some devices, you’ll have to go to Settings à Storage and click on ‘Mount USB On-The-Go Storage’. In a few seconds, the storage will be mounted and the content will be available in your device. Conclusion – What is OTG? We hope you now have a clear idea about what is OTG and we are also sure that you have learned how to use OTG to connect to your smartphone. Do you use USB OTG in your Smartphone or tablet PC? If so, what do you use it for? I have a OTG cable and I uses it to connect my PS game controller to my tablet. Was looking for the exact same thing, thank you so much for this post! kudos. In Amazon, I’ve found a pen drive, it has a small USB port that can be attached to mobile phone directly. Is that safe if I use a 32 GB pen drive to my Micromax phone, it has expandable memory capacity up to 32 GB.